“It was really ineffective,” says Smith, BSN ’09. 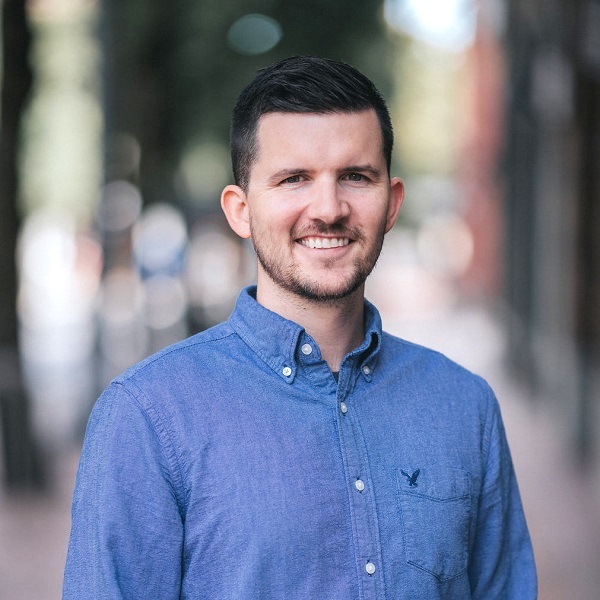 So when a friend said he was thinking about building a free scheduling app just for nurses, Smith joined on as a founding member of NurseGrid. Based in Portland, Oregon, NurseGrid offers a free mobile app for nurses and a paid version used by nurse managers. 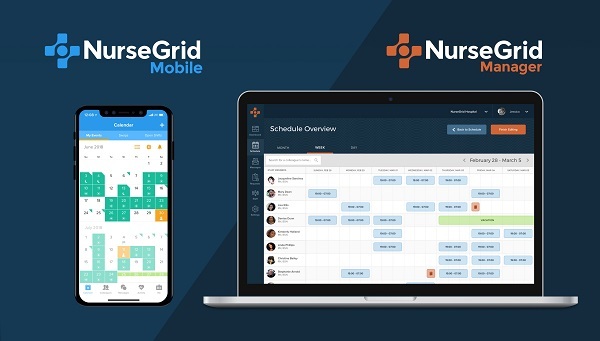 The mobile app has been downloaded about 500,000 times, with about 200,000 active users in the U.S.
NurseGrid helps nurses keep track of their schedules at a glance, swap shifts, share their availability with a manager, and connect with colleagues via an easy-to-use mobile app. For managers, NurseGrid tracks and visualizes who’s scheduled to work particular shifts, and lets managers approve shift swaps and fill open shifts quickly. Some 86 percent of all shift swaps are approved within two hours on the NurseGrid platform. The result is fewer emails and calls and increased staff satisfaction, Smith says. Both Smith and company CEO Joe Novello are nurses, along with two other members of the 50-person staff. Smith’s title is Vice President of Nursing. NurseGrid, founded in 2013, has attracted several rounds of venture capital financing totaling $9.3 million. The company uses a bottom-up marketing strategy, offering the free mobile app to nurses and betting that its features and modern design result in positive word-of-mouth. As more nurses begin using the app, they recommend it to their managers and it rolls out one department at a time, though Smith says the company now serves entire hospitals and is working to implement NurseGrid in a nationwide kidney dialysis company. NurseGrid simplifies and streamlines scheduling tasks for nurses and nurse managers, plus adds some social components like messaging and the ability to see who’s working particular shifts. NurseGrid has added a job board to its mobile app, allowing nurses to apply through the app, and is eyeing a student version for the future. Smith,33, credits the WSU College of Nursing for teaching him to be a leader as well as a nurse. “I’m proud to be a Coug,” he says. Zach Smith, center, graduated from the WSU College of Nursing in 2009.